Back in the first week of July, I was 9 months pregnant in the crazy heat of our Florida summers when I met up with the absolutely gorgeous, like minded mama Ashley and her hubby David and their lovely little Alexandra for a family - breastfeeding - maternity shoot on Delray Beach! What an epic trio in one! 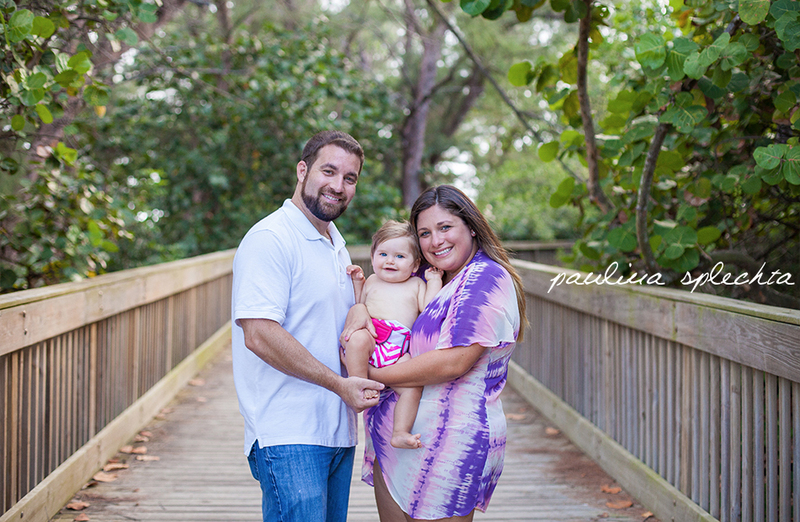 Despite the tropical climate, this family pulled of my absolutely favorite sessions to date, the colors, the love and connection are just jaw dropping! Ashley and I shared part of our pregnancies together and she is due in about three weeks with her baby boy, and I just birthed my little girl Emma, my second daughter a few weeks ago, so we were just 3 months and 2 days apart in our pregnancies! It was fun being apart of a facebook pregnancy mama group together, sharing our pregnancy experiences and tough days, and our bump selfies! What a totally different experience from my first pregnancy where I was definitely lacking that mother tribe support system. 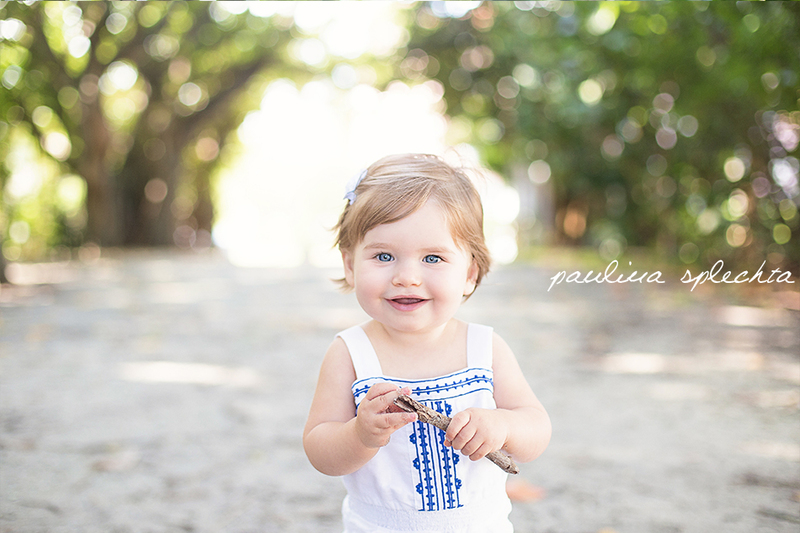 I cannot tell you how ecstatic I was to photograph her gorgeous family. When the stars align and you have the perfect sunset, a gorgeous family, and that lucky week where the seaweed that washed ashore is still perfectly golden, it is just heaven. Three and a half months later, my little girl is 2 months old and Ashley is one month away from her due date. I invited Ashley to join me for a day of celebrating motherhood with other special mamas for mini sessions in East Boca Raton. 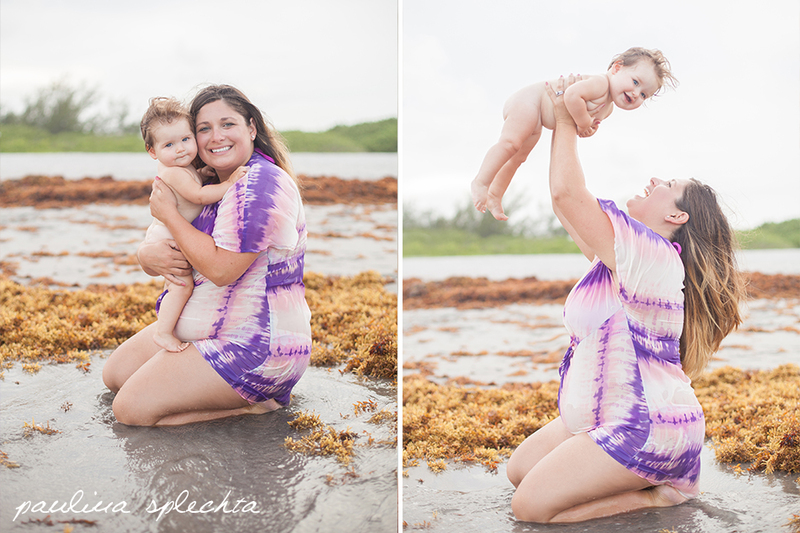 This mama rocked her shoot just 4 weeks shy of her due date, look at how radiant she is! And my goodness how incredibly big has Alexandra gotten in just the matter of 3 1/2 months! I feel like every single shot speaks to the incredible love and gentleness they have as parents.